Most active in SOCWA 2017 was OH1FJ, "Leo from Turku". Congratulations! Click [here] for complete result list! Never ever send faster than the station at the other end! 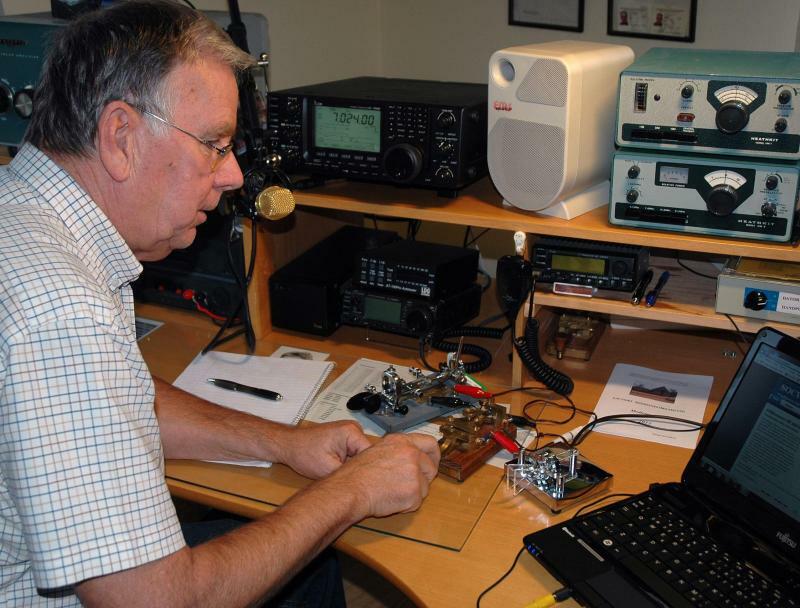 SOCWA is a project aimed to consolidate Morse code skills among amateur radio operators and to increase CW activity on the ham radio bands. Encourage other ham radio operators to go CW in their own speed. Help them to increase their CW skills and experiences. Send at a moderate speed that does not discourage others from participating. 0 Qso´s today and 37 yesterday. 4614 QSOs total. QSO-time: 1490 hours, 37 minutes. Average qso: 19 minutes. All hams registerd in SOCWA has the possibility to buy a SOCWA patch 85x65 mm. Attach it to the t-hirt,jacket,hat,etc. Prize: 8 US or 6 Eu. plus postage. 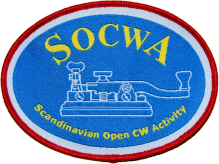 The Oland Amateur Radio Society, SK7RN and the Scandinavian CW Activity Group (SCAG) are pleased to announce a stimulating CW activity (on all the HF Bands) for Scandinavian amateur radio operators for Calendar year 2013. 2) an individual whose original license was issued by any one of the aforementioned countries. 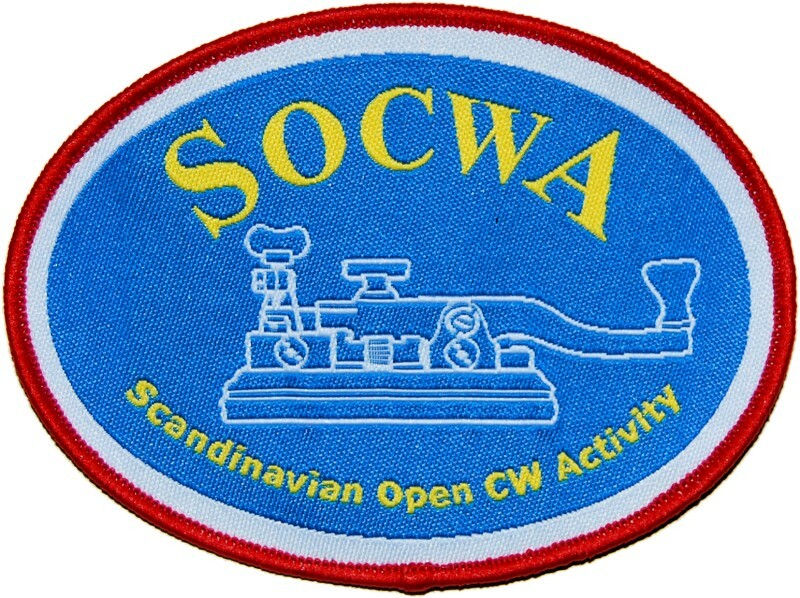 Radio amateurs from other countries outside of Scandinavia who register are welcome to participate in the SOCWA, but in order to qualify for a Completion Certificate; each qualified two-way CW contact must include an amateur operator from one of the listed Scandinavian countries. The SOCWA program will be in effect for Calendar Year 2015 (01-Jan-2015 through 31-Dec-2015) in order to maximize the total amount of qualified two-way QSOs.